Provides better connection with operator especially for dry skin or dry environments. Additionally, silver fibers are antibacterial to help keep the band and operator clean. Band will not introduce contaminates into the work area and may be replaced without replacing entire wrist band. Eliminates allergic skin reaction for most operators and prevents band from slipping so that operator does not have to re-size each time. Meets UL & OSHA requirements to ensure operator safety. 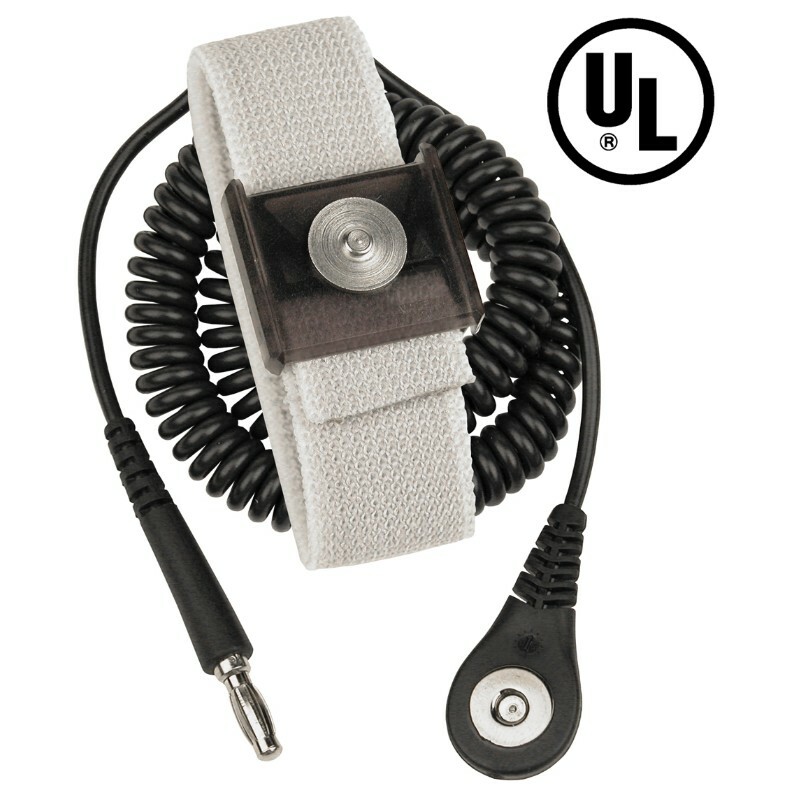 Allows operator additional coil cord length to move freely within work area. 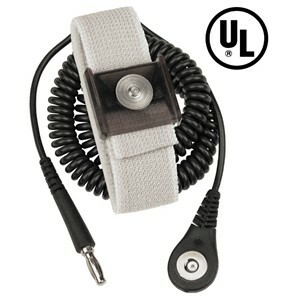 Eliminates intermittent failures that occur with less durable cords extending the lifespan of the wrist strap. Prevents unnecessary wear to banana spring that will lead to accidental disconnects from banana jacks. Keeps cord from being disconnected or getting in the way of operator’s work area.